We are almost into March and I think everyone is ready for some warm weather. But even here in the south, it's still pretty chilly in the evenings. In our house, the throw in the family room is always being used by someone. Why do I only have one? 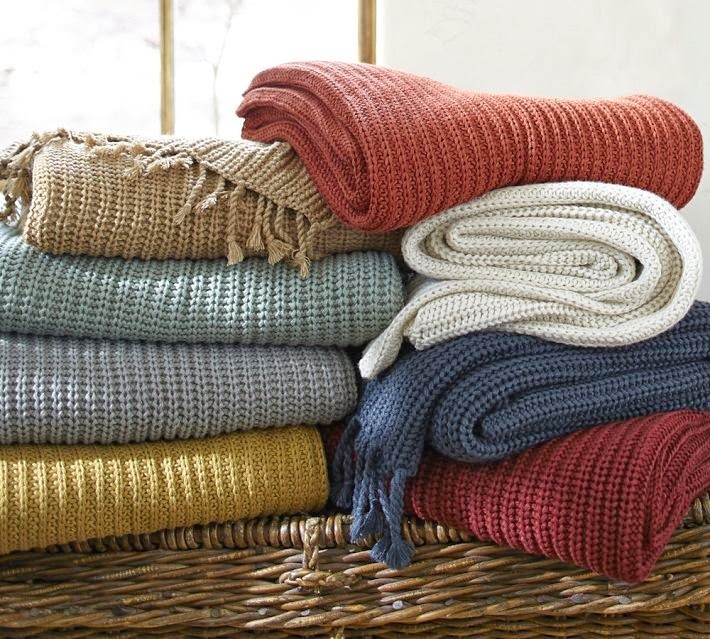 Throws or blankets are a great way to put color and warmth into your home. 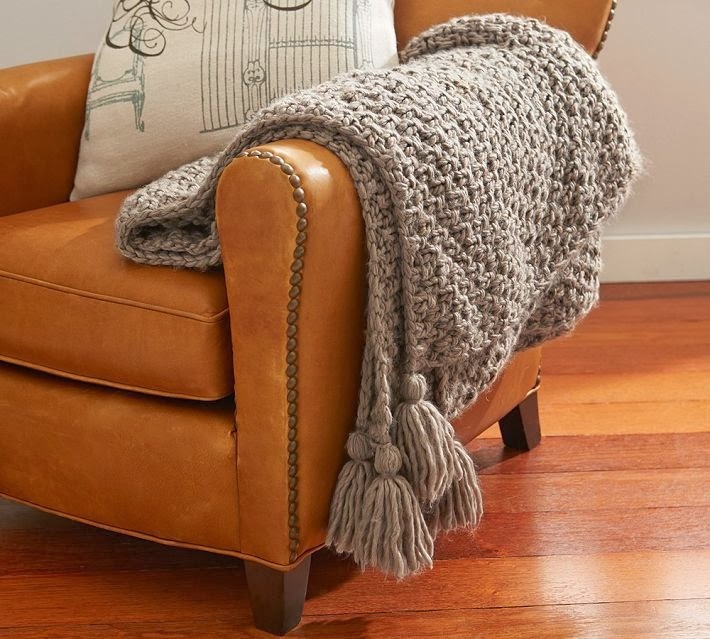 Draped over a chair, a sofa, at the end of the bed or out on the porch. 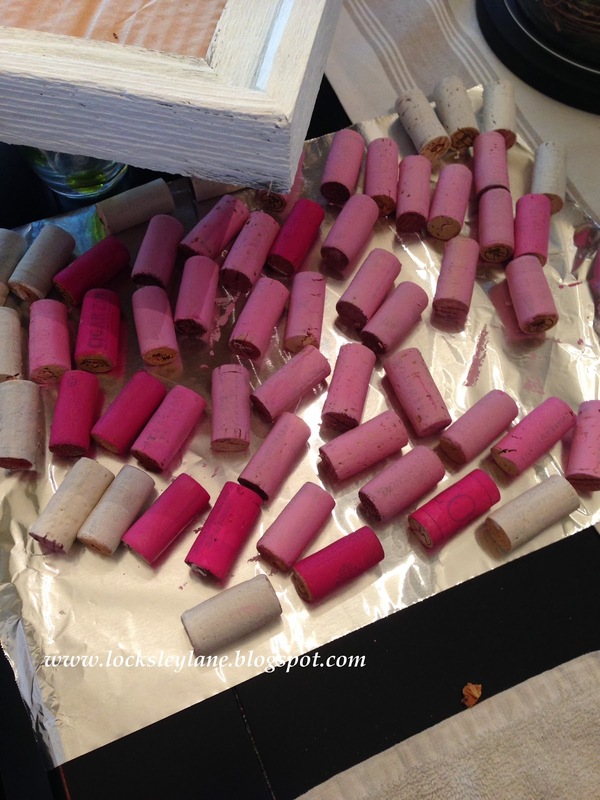 They are relatively inexpensive and can add a pop of color when you need a change. Pottery Barn is having a large sale on blankets. If you need a new one or want to update a color, it's a great time to snag one. Stay warm. 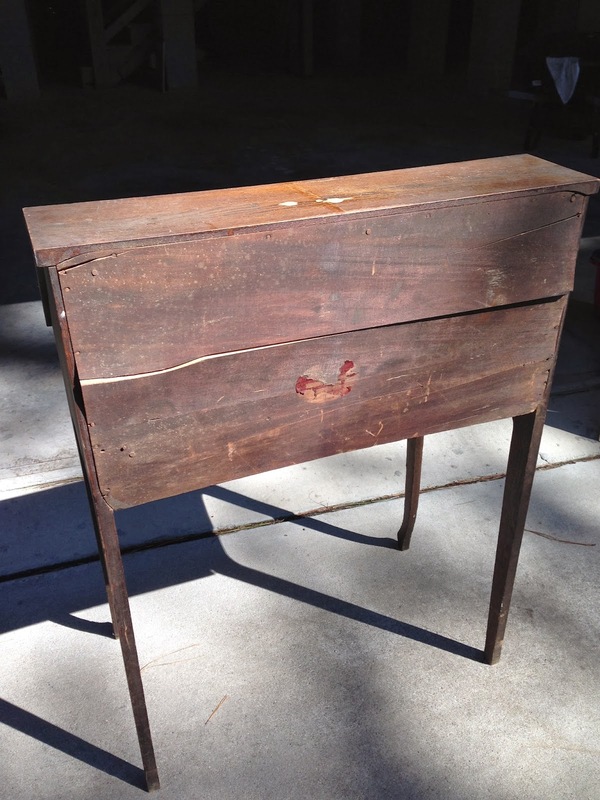 Last week, I mentioned that I was starting to work on an old desk that has been around for a long time. It was in our first home in Virginia and then kind of got lost in the shuffle. I found it......yes, in the back of my garage here in SC. 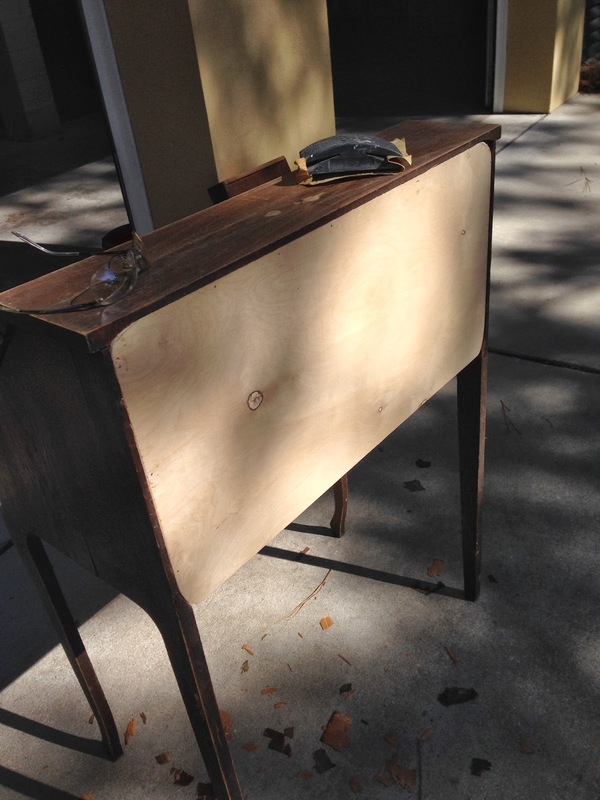 Needless to say, the desk that use to have a flat front, now has a bow front due to all of the humidity and she was in pretty bad shape. The back board was completely split in half and needed to be replaced. As you can see from the front view, all of the veneer was chipping off and there were some serious cracks that needed to be filled. Out came the power sander to attack the veneer and wood putty to fill the cracks. 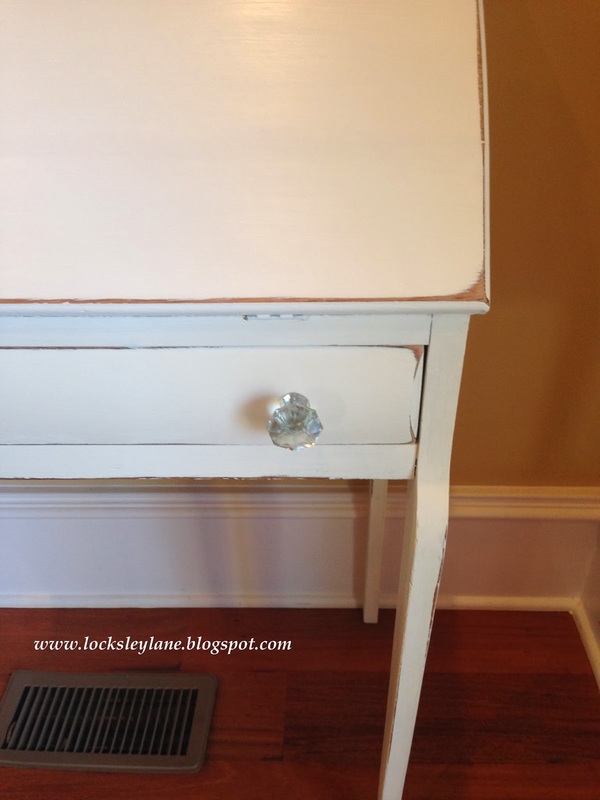 Typically with chalk paint, you don't need to sand, but with all the warping and veneer this needed additional attention. I'm guessing that this was probably made in the 30's or 40's. The stains used around that time can cause "bleed through" on your new paint so to be sure, I went ahead and sprayed this with a clear shellac (I use Zinssers). This seals your piece and will prevent bleed through on your chalk paint. 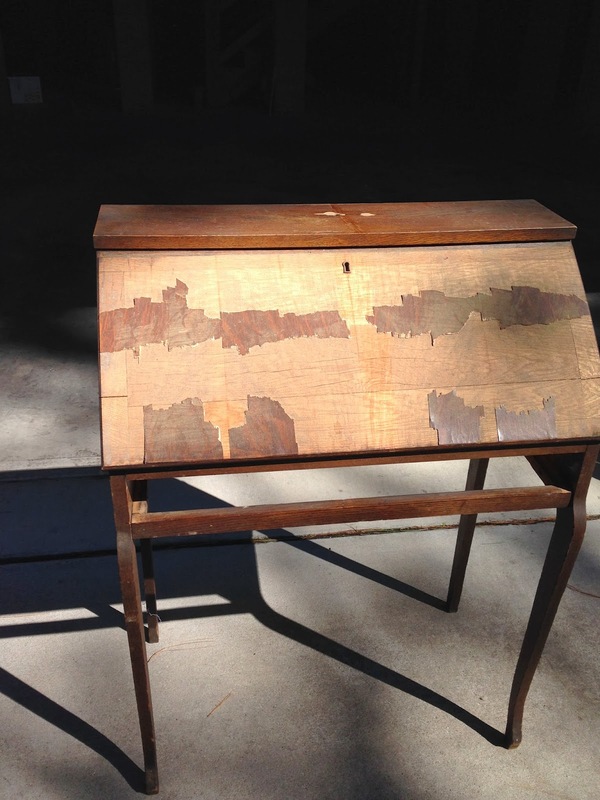 I replaced the back of the desk with a piece of birchwood plywood. I gave it a few coats of Old White, replaced the knobs, distressed the edges and then put on a clear coat of wax. I used a different color on the inside just for a little personality. Everyone loves a winner right? But what happens when we don't win. To win, means you are the best, the strongest, the fastest, the most creative or the smartest. It doesn't matter if it is for one contest or an entire season. Winning is the ultimate in sports glory. It gives you the ability to jump up and down and chant "we will, we will, rock you!" It allows you to give the ultimate "fist pump" and say "yes" we did it! It allows us to post pictures on Facebook and videos on Youtube to show everyone that we are the best or we won. But what about giving your all and losing? Let's face it, you can say "it's not whether you win or lose but how you play the game" and that sounds great.....but that's not really how society works. Society rewards the winners. When you don't make the shot, or strike out, or miss your best time, we shake our heads and frown and say "what happened?" Why didn't you......do better? Like you weren't trying? Like you didn't want to win? Winning is a great reward to hard work and dedication. Losing has its own reward, but it feels like a consolation. Losing builds character. To remain positive and continue to put forth everything you have, in the face of losing, is hard. To be defeated game after game or contest after contest.....well, it's just plain demoralizing. It feels horrible. Your effort, receives no reward or validation. Or does it? When you lose, you learn. You learn how to be gracious, you learn how to be humble and you learn that not everyone can win. That in itself is a great lesson in life and a reward to your effort. In any contest, someone wins and someone loses. Sometimes winning has nothing to do with effort and everything to do with talent. You might be the best, and then again, you might not be. What if your talent isn't enough for you to win? How do you handle losing? How does it affect your attitude and your home - your safe haven? I've come to learn that losing and winning is all part of life. We can teach ourselves and others, that it's ok to lose....as long as you give whatever your challenge - your best. If you lose, you learn. If you learn, you win. 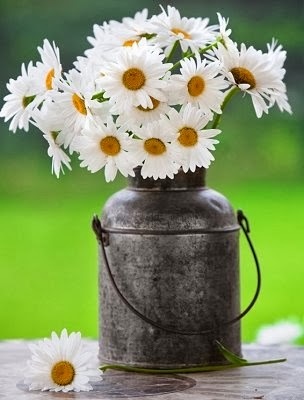 In the end, we only have our best to give. If someone else's best, bests you......then so be it. Hold you head high and clap and reward the victor. In this house, I will love you no matter what the outcome. While working on a wood project that is having some major "bleed through," I decided to take a break on the darn piece and walk away for awhile. Sometimes when you get frustrated with a piece, you just need to walk away and leave it alone. But I was ready to work on something, the weather was nice so what was I to do? 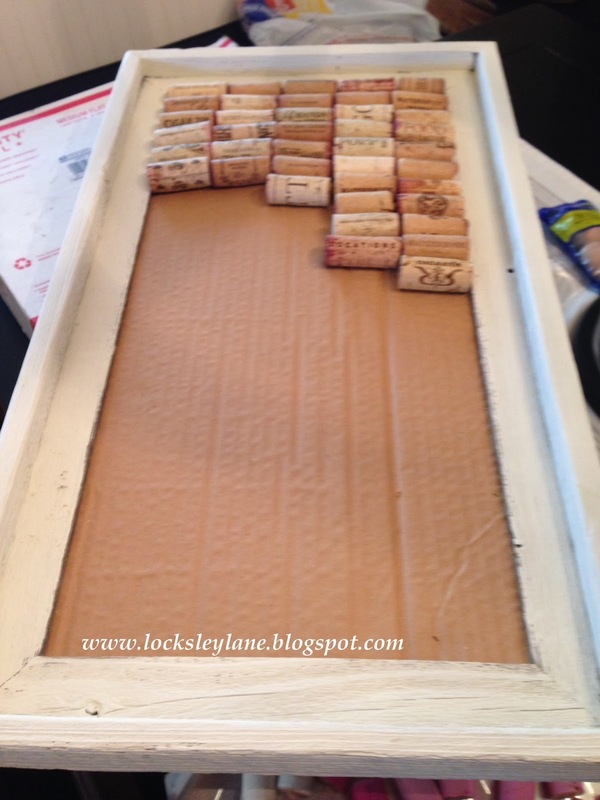 I sat down in the family room, looking at a bowl full of wine corks, when I remembered a picture I saw on Pinterest that came from Shanna at Restoration Redoux. 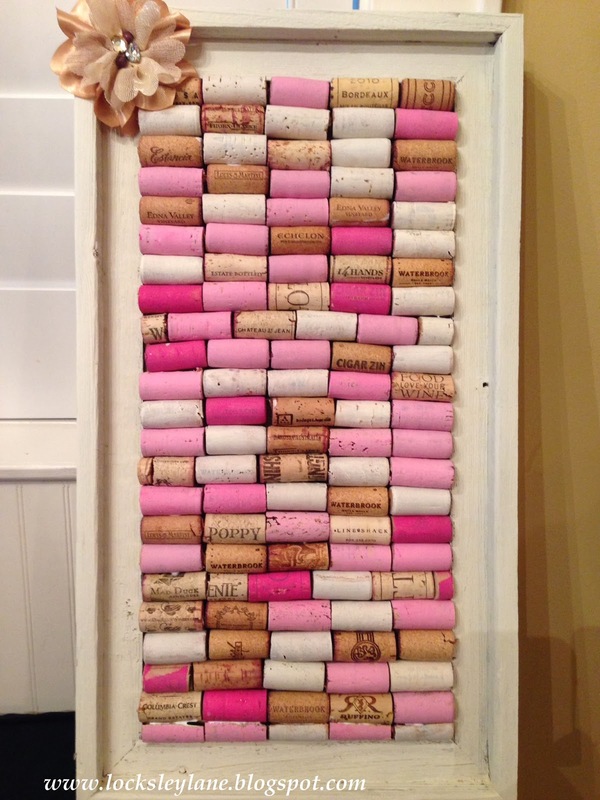 I had plenty of corks (don't go judging....it is what it is) so I thought I'd give this a try. I painted an old wood frame that you can get from hobby lobby. I cut out a piece of cardboard and glued it to the back of the frame. 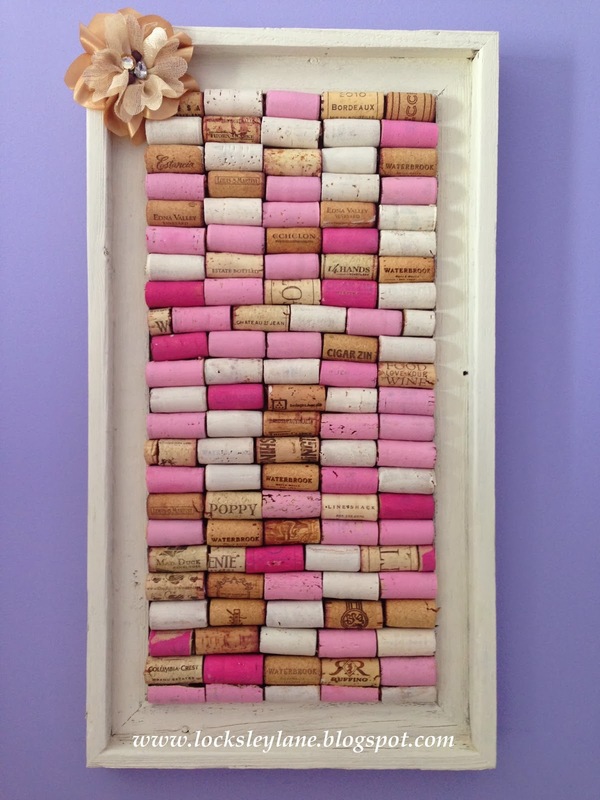 Then I placed the corks into my frame so I knew how many to use and to make sure that they fit. I did have to cut a few. I painted them and then glued them to the back. I'll need to create some cute little push pins to go with this. Thanks for the idea Shanna! Remember to be kind this week. Have you noticed how everyone everywhere seems to be so very busy.... all of the time. Everyone has so many things going on that the joy of the day is lost or taken over by all of the things we have brought into our lives. When was the last time you sat down and just took a few minutes to be still? No television, no phone or texting, no internet, no hand held games and no reading. And in case you take the occasional nap, I'm not talking about that either. When was the last time you just sat and listened to what was around you without any distractions. I bet it's been a long long time. I spent a lot of time reading Eckhardt Tolle's "The Power Of Now". It took me many many times to read it before I began to get it. The book seemed so complicated, when in fact, it's very simple. "Be still and listen for guidance." I was always worrying about the future, which doesn't exist or fretting over the past, which you can't do anything about and I was missing the only thing we actually have in our possession - the now. How do you get to the "now" if you never make time to be in it? Let us be still today and listen to the truth. Even if only for 5 minutes. Give yourself this gift. Then, get back to painting, or cooking or running around. You may have a new perspective on things. I'm a pretty healthy eater. Ok, I'm a very healthy eater by most standards. But I'm not a health nut in a strict kind of way. Sure I make green smoothies, juice green drinks and work out regularly several times a week. But I'm not a health nut in a strict kind of way. I love good food and I love food that tastes good. I have my weaknesses: pasta, dark chocolate, wine and yes.....I love cheese! Trust me, I've read The China Study and have spoken with my trainer about the lack of nutritional value and damage that cheese can do to the body but.... I don't really want to hear it. (Gosh, that sounds bad doesn't it?) I mean I care, and I limit my dairy intake, I just don't count cheese in the dairy column. Honestly, when thinking about snacking or looking for a light meal, there isn't anything better than a glass of wine and some cheese. Well, actually there is, but today we are talking about cheese. My good friend Annie, from up north in Virginia and I would make a meal out of fruit, brie and wine and then sit and talk for hours. So sometimes you just have to ask yourself....Why cook when you have cheese? This is the most simple and most delicious recipe for baked brie. 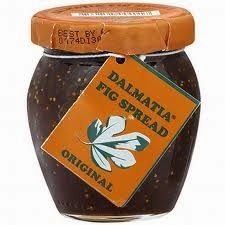 I love it with the Fig Spread. You can get this as most grocery stores. 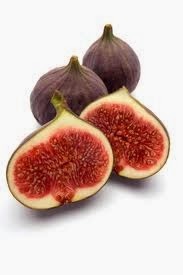 You can also use strawberry or apricot jam as well but go for the fig. It just has a little snap! 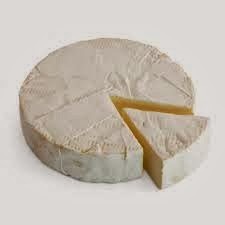 Slice the brie in half, creating two pie rounds (not halves). Mix the fig spread and brown sugar, and spread onto one of the brie rounds. Carefully place the other brie half on top. Place the brie on a cookie sheet lined with parchment paper. Heat in the oven for about 10-15 minutes. Don’t over cook the brie or you will have a hot mess. This step is optional: While the brie is baking, place fruit (figs, strawberries) on a plate in the microwave until warm and soft. Place on top of the brie. 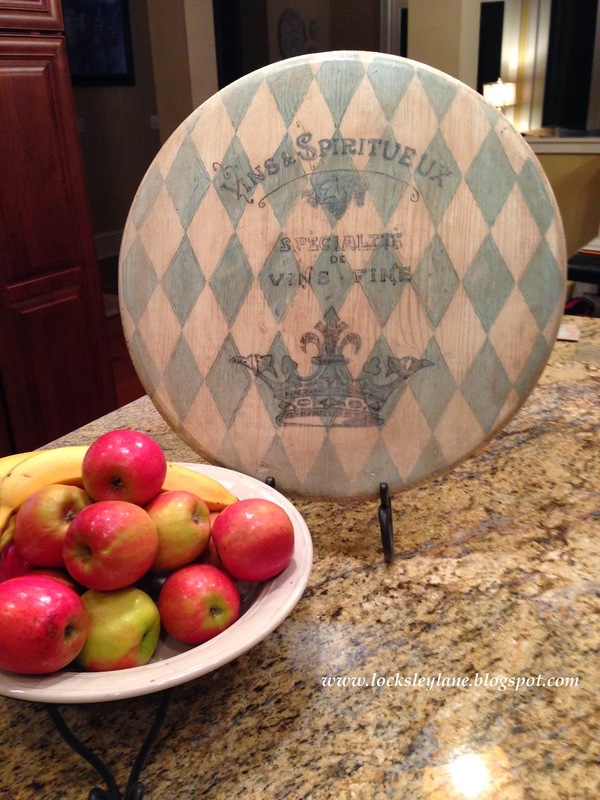 Place the baked brie on a cutting board and serve with water crackers, sliced warm fruit and your favorite beverage. To Paint Or Not To Paint.....That Is The Question. What furniture do you paint and what furniture do you keep as is? The answer to this question really depends on you, your room and how you feel about a piece. 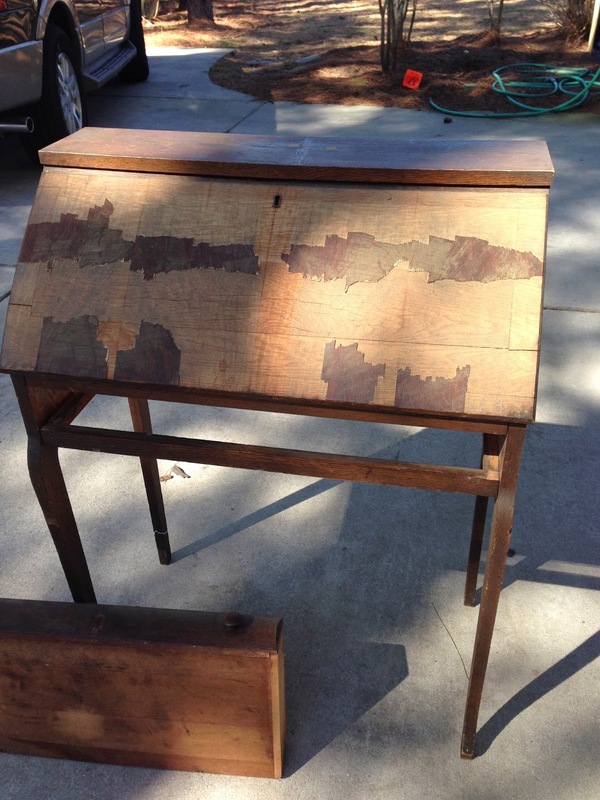 Is the piece a family heirloom or antique that is beautiful as is? If so, then leave it alone. You certainly don't want to paint over something that will ruin the value of a piece or upset Aunt Molly who gave it to you if that is a concern. Is it a piece that you don't use or sits in the garage collecting dust (or in my case mold and mildew)? 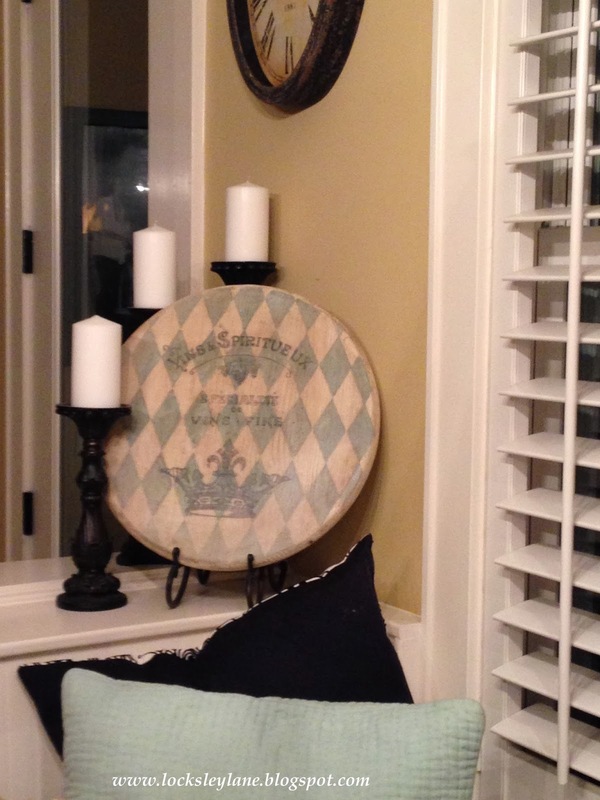 Maybe it's a piece that just doesn't fit with your decor or one you are thinking about giving away. 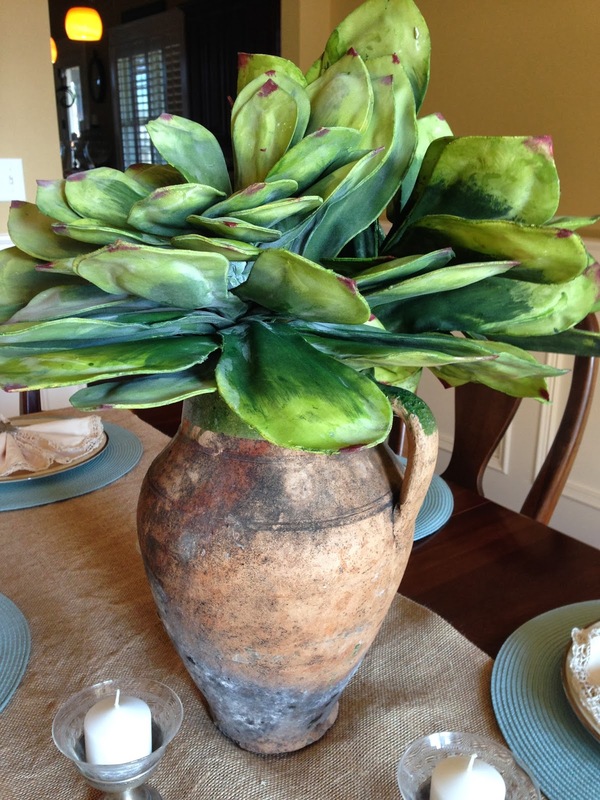 If that is the case - then breathe new life into it and see what a bit of color can do to transform your space and.....give you a piece you can enjoy. But if you don't want to paint a piece or are hesitant to do so, then don't. Furniture with it's own natural wood and original stains are beautiful as is. They add warmth to any room. 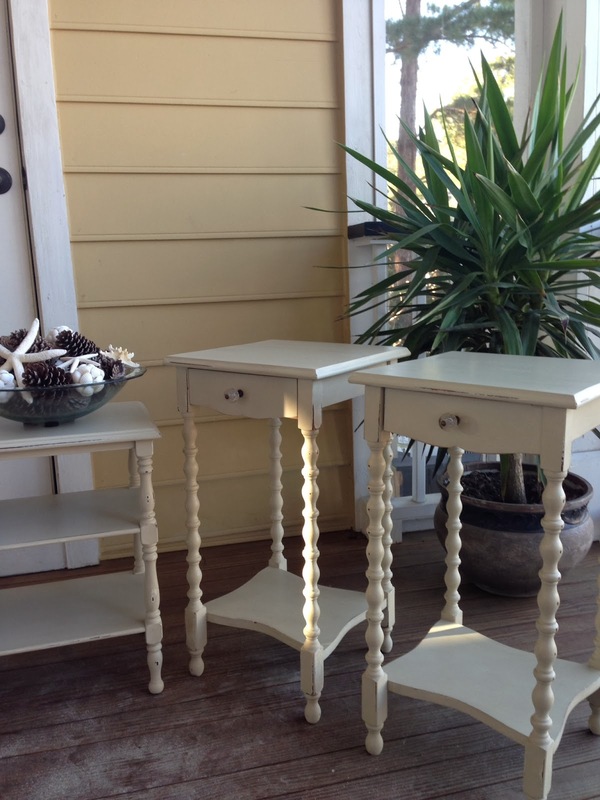 You don't have to go around painting every piece of furniture you have to breath new life into your house. 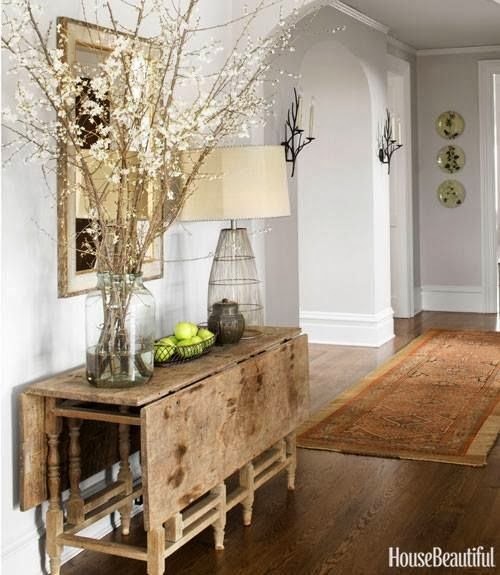 You can change pictures, wall colors, rugs and all other accents to make a room feel better and look beautiful. 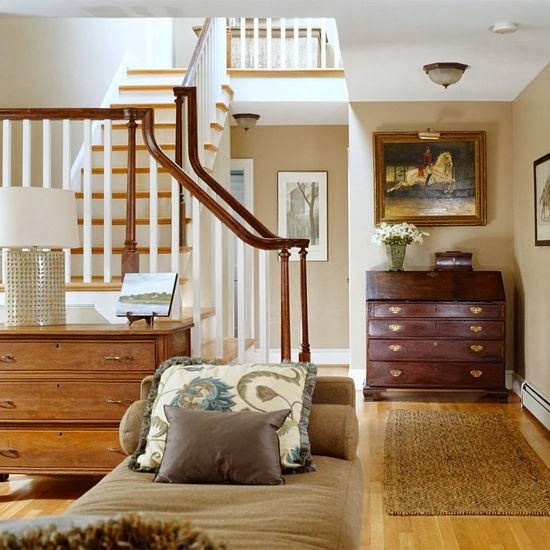 I pulled some pictures off of Pinterest to show you that you don't have to paint your furniture to have beautiful spaces. If you aren't sure about a piece, play around with it before you paint over it. Some furniture looks beautiful just as it was intended. The options for what you put around a piece of furniture are endless. Look at the table above with the beautiful chairs and bench. Pretty right? 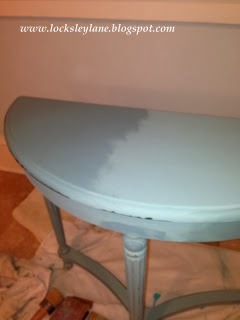 So, if you don't know if you should paint a piece of furniture or aren't sure, leave it alone for awhile. Don't let fads or trends make you change a piece of furniture that you are going to regret later. In the end, it's your house, your room and your space. It doesn't matter what any designer, friend or book tells you your space should look like. It's yours and you should love it. Ok...it's the second week of February, are you feeling like this? Ready to bust through all that cold and snow and get started with some new projects? For those of us in the south, it's not that hard because this week we will be in the 70's. For my northern friends and family it may be a tad bit harder to shake off the cold with a few more weeks of winter on the way. But that shouldn't stop you from pulling some things out of the attic or garage and beginning to think about what you can do with them. Here is what I pulled out of the garage yesterday. Once again, I left this piece in the humidity and wetness of the low country and as you can see, it is almost toast. Burnt toast. The boards are cracked and warped and most of the front veneer has pulled off. The garage is really the only storage area in the house so most of our wood pieces that aren't being used have about had it. What are you working on this week? Pull something out and give is some thought. I'll show you what happens with this piece later this week. 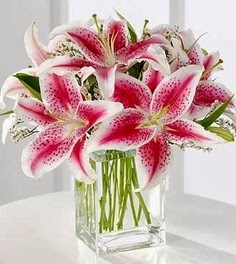 Flowers are a great way to say so many things: I love you, I miss you, cheer up, get well, happy anniversary, happy birthday, Merry Christmas, Happy Mother's Day, thinking of you, I'm sorry and yes, for the all time biggest flower giving day - Happy Valentine's Day. 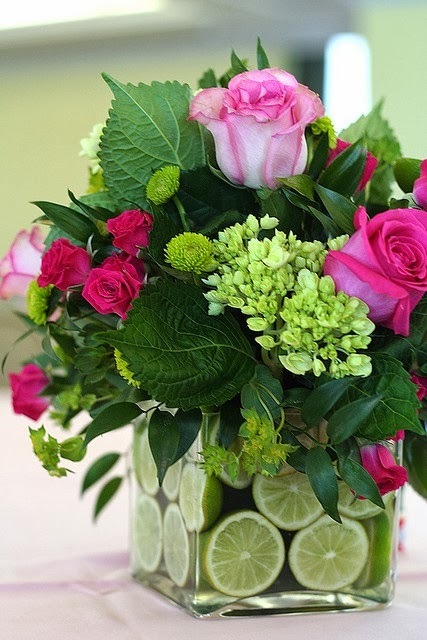 We send flowers because they are beautiful and they convey all different kinds of emotion - based on the occasion. I say "why wait for an occasion?" 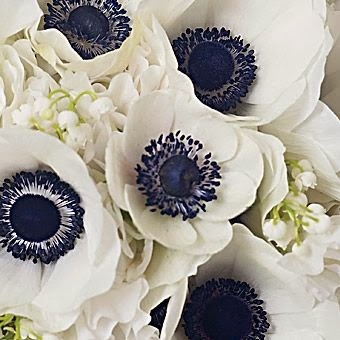 I buy flowers often. 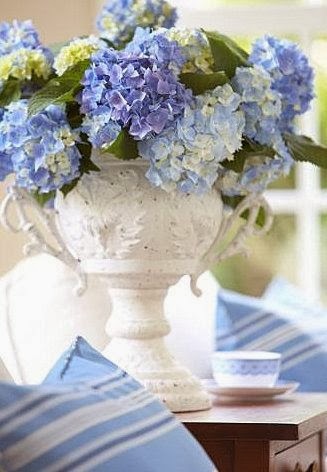 I love to walk into a room and see fresh flowers. It doesn't matter what kind.... Just seeing them makes me happy. 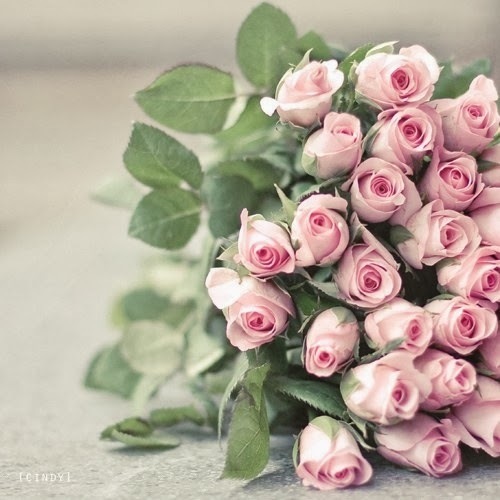 Do you know you can get two dozen beautiful big roses from Costco for $15.99? That's right. That is a whole lot cheaper than what florists are racking in for today's dozen. :) Check them out next time you are there. 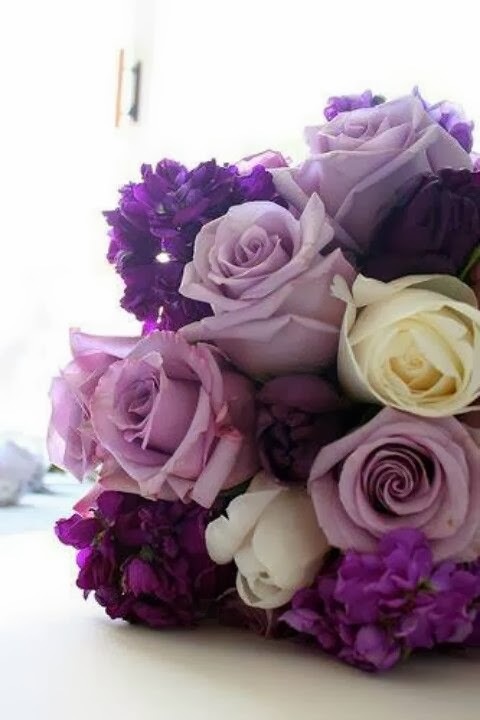 Fresh flowers too. Happiness is a choice, and I firmly believe that. 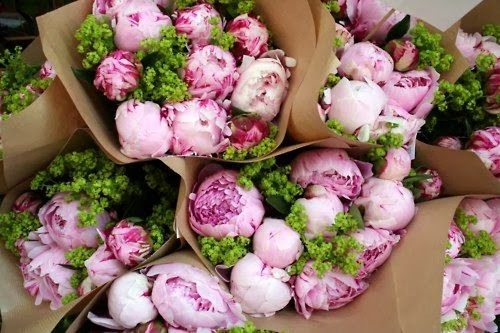 So why not make yourself happy and buy yourself some flowers. You don't need to wait for a special occasion. And yes, you are worth it. In honor of Valentine's Day, here are some of my favorites. Don't they just make you happy looking at them? Works for me. 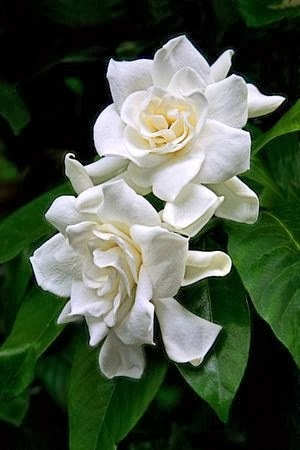 Go ahead and buy some flowers next time you are at Costco, the farmers market or the grocery store. See if they don't put a little pep in your step when you walk into the room. Have a great weekend. And remember, be kind. If you haven't figured it out yet.....I love to cook and bake. There is always something in my oven. I love how different ingredients make your house smell soooo yummy! 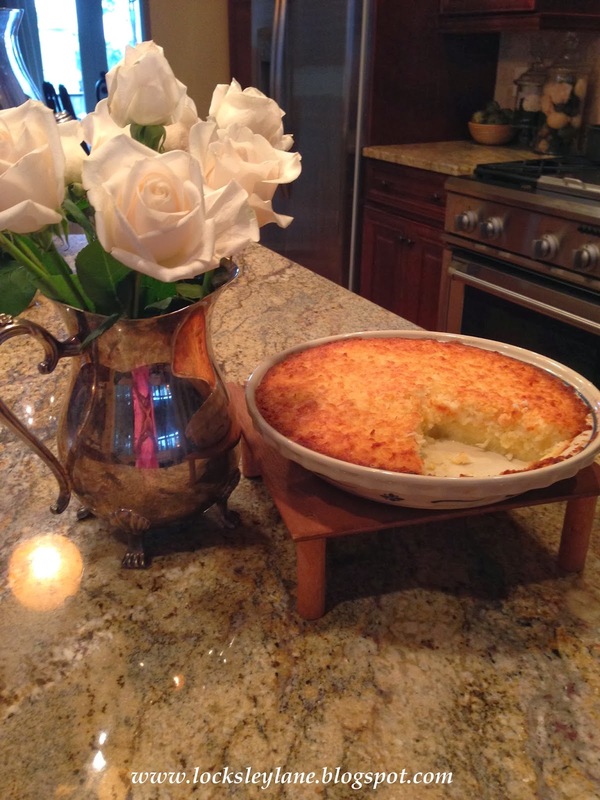 I also know that not everyone has the time to bake so I found a coconut pie for y'all that is easy and quick! It is also a pie that doesn't have a crust so it's a bonus. That is, if you like coconut. :) It's not a fancy pie, but a good one for a cold day. Think.... coconut meets egg custard. I found this recipe on the internet, but made a few adjustments based on the comments. It turned out so good that I couldn't get a picture of it before someone took a piece! Mix it all together and either butter a pie pan or use Pam. If you use Pam the bottom won't brown. I'm ok with that so I used Pam. Bake at 350 for 50 min. Ok.....let's set the record straight. 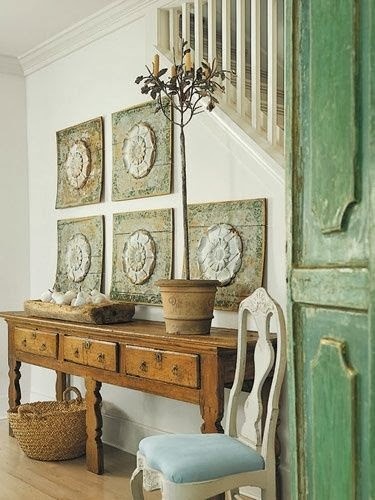 Painting should be fun, it should breathe new life into your furniture and it should give you a sense of accomplishment. For some of you, this is not happening. By several recent emails, waxing is causing lots of frustration and that is not its intended purpose. 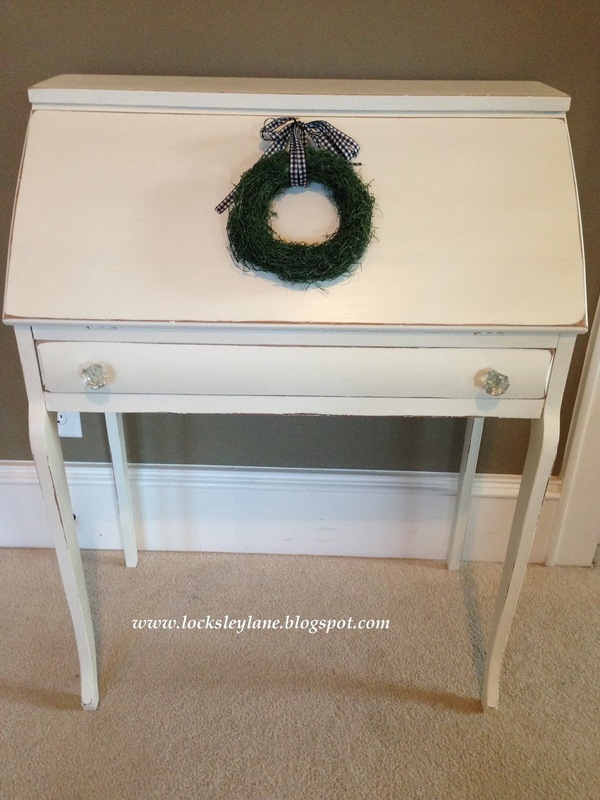 So let me tell you....you don't have to use wax on your chalk paint. You have other options. Phew! It's ok to not use the wax and you might be happier with the end product. You have to be honest with what you want in your finished product. 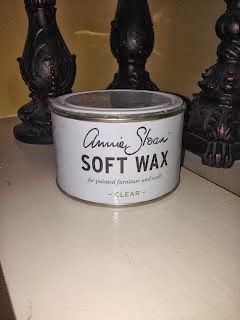 You have to make sure you like the finish that wax brings to vintage or restored furniture. You may think you want a wax finish, but are you really looking for a "poly" finish? Waxing and chalk paint for the most part are going to show your brush strokes and the wax finish can show strokes as well. Now don't yell at me....because you can get a smooth as glass finish but not everyone has the time to work on their technique and get this down right away. There is a method to all of this madness. You can check out my Tutorials page if you need a refresher. But.....you have to want a waxed look. If you want to wax and you are hesitant, start with small pieces first to get the hang of it. You will have smaller top surfaces and can see how the wax should lay on your piece and then buff out. Once dry, buff it out with 0000 steel wool. (I do this on all of my finished pieces) If you like this, then move on to other pieces. Find a stockist close by and attend a seminar. See how it works first hand and ask questions. Or, use the internet to your advantage. Google your questions! There is a ton of advice out there. 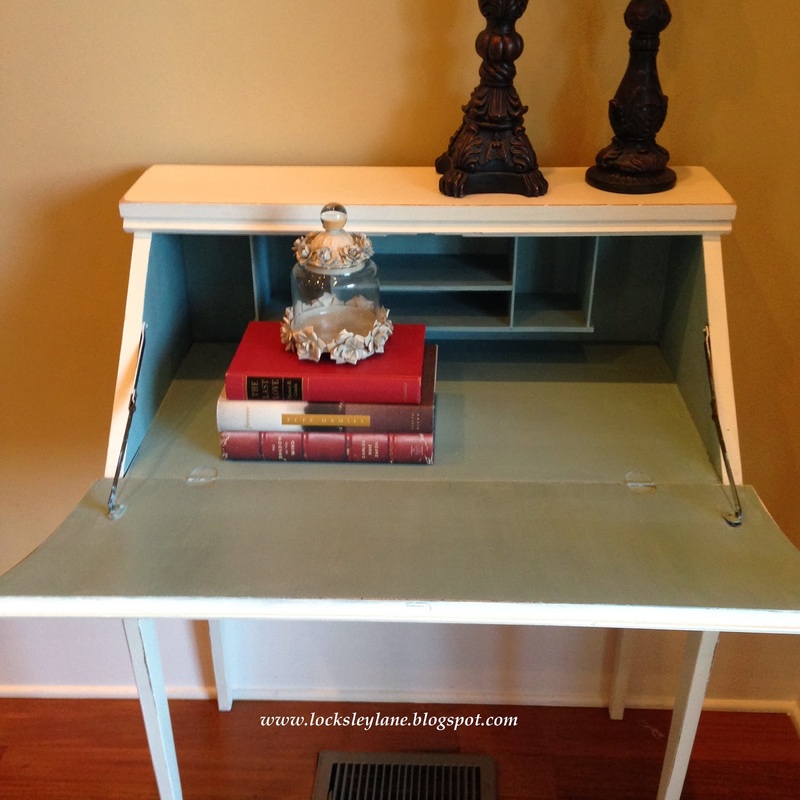 Now for those of you that love chalk paint but really want a poly finish.....you have choices. These products are great alternatives and have a much harder finish that needs little to no upkeep. They are also not heat sensitive like wax. These products are easy to apply, relatively cheap and will give you a gloss finish without question. Now, they have drawbacks too. On light colors, they can yellow if they are in the sun. I have heard Varethane does not yellow, but I have not tried this. Transferring an image to wood is a lot easier than it looks. With the help of The Graphics Fairy and her fabulous ready to use pdf graphics, this project was a no brainer. 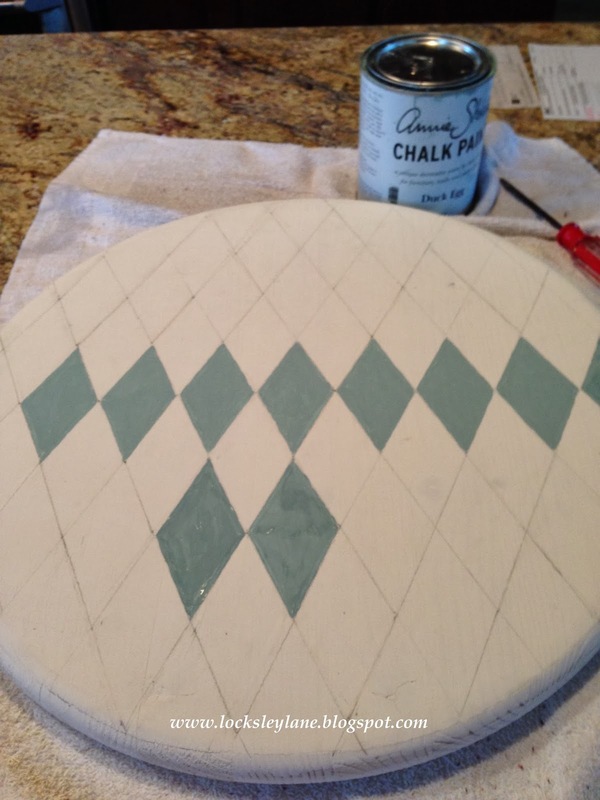 I found a pre-cut round board at Lowes and decided to paint some harlequin diamonds on it to spice it up. Use a ruler to map out the diamond height you want and then use half of that for the width. Once you get your first diamond you can use a ruler to map out diagonal lines across the board. 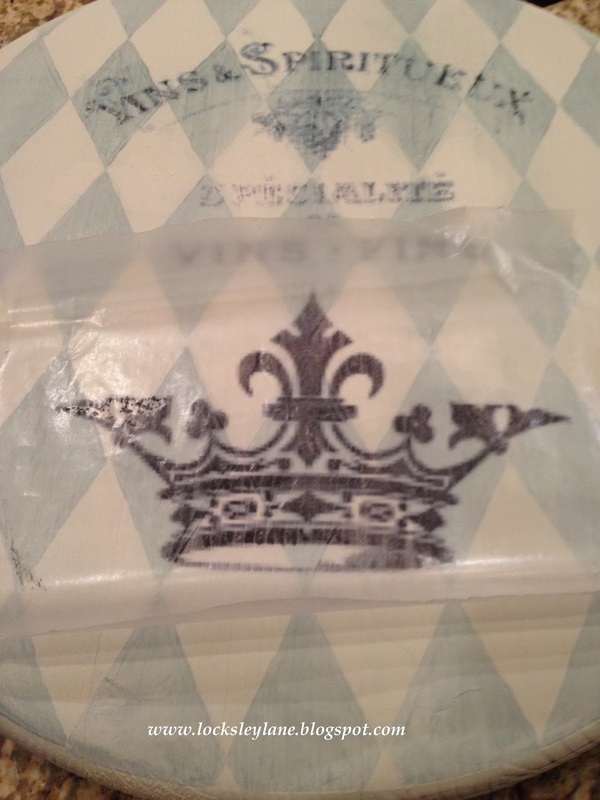 I used the wax paper Transfer Method. This was a bit tricky. 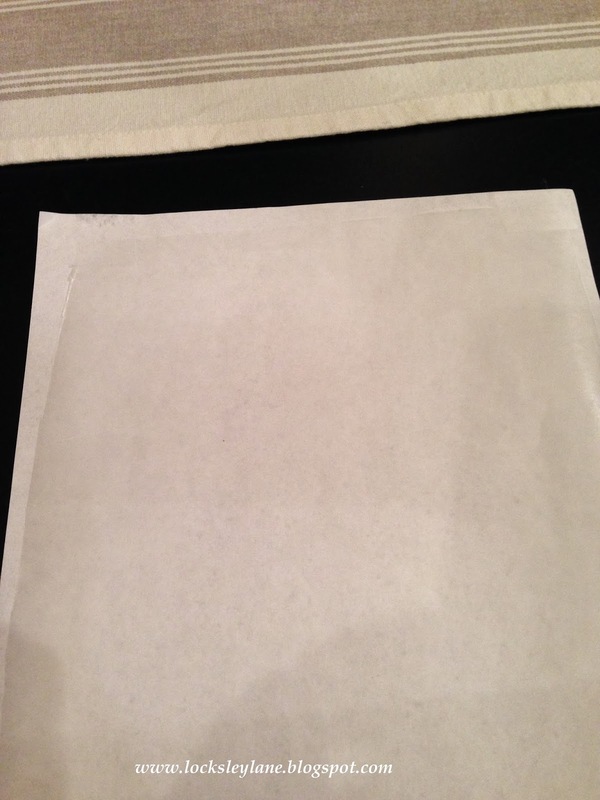 My printer kept wanting to eat the wax paper until I realized that I needed to tape the wax paper to an 8 1/2 x 11" sheet of paper at the top and bottom corners. Then it rolled right through the printer. 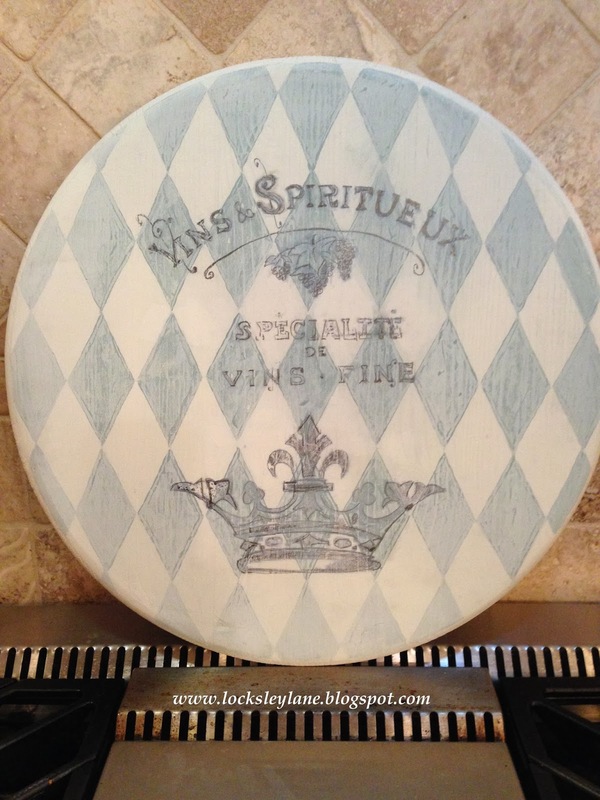 I chose two graphics; the Vins and Spiritueux and the French Crown. I took a damp paper towel to my board (not wet!) just enough to ensure the graphic would come off the paper and then laid the graphic against my wood. If your board is too damp the ink will smear and you will need to start over. I held the wax paper still and used a credit card to rub off the graphic. This is the board above before the clear and dark wax. This is the board after. Not bad for an afternoon project right? Find a neat graphic and transfer it to a piece of wood to create your own image. It's that easy. Remember me telling you about my Italian grandmother and her three sisters that came to the U.S. from Italy in 1920? They were very talented with a needle, thread and crochet hook. One of the aunts worked for Macy's in NY when monogramming and embroidery was done by hand. 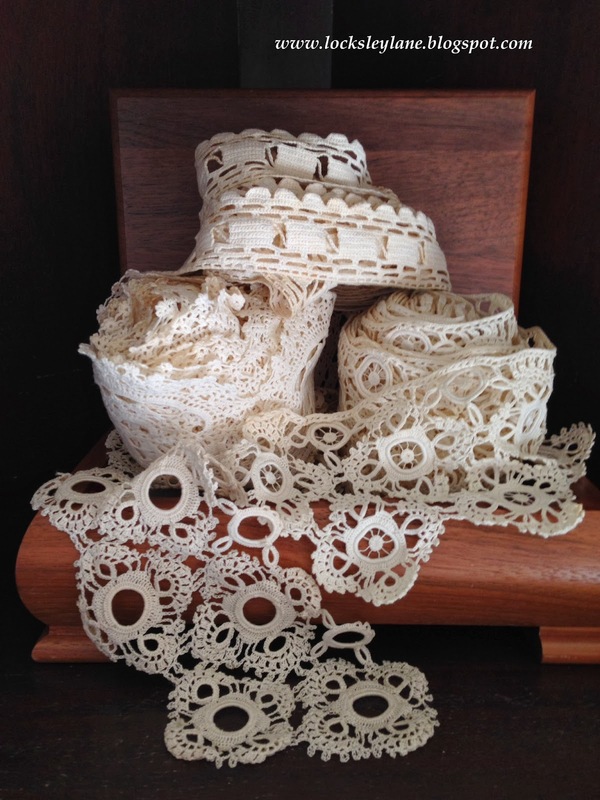 My mom just brought me an old box that she had filled with all kinds of lace goodies that they never used. Look at the sweet intricate patterns that they created......They are so pretty! 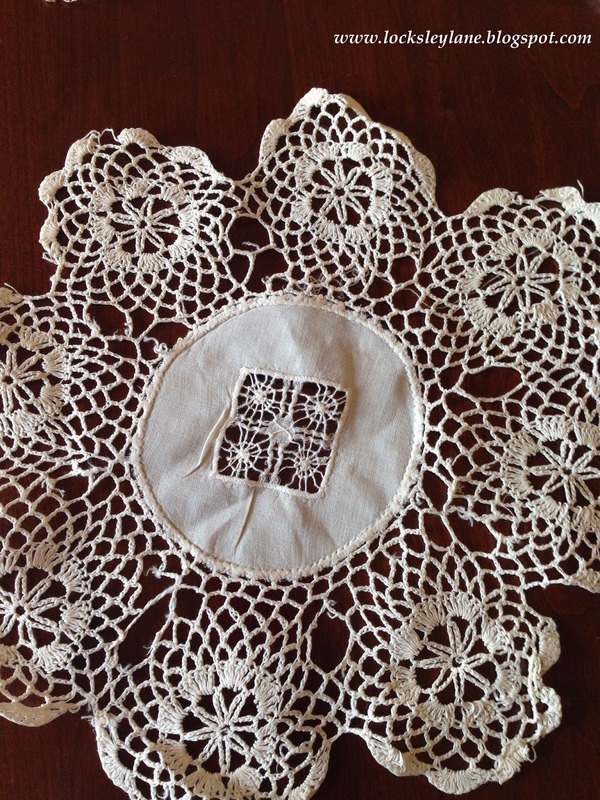 These would go on the end of pillow cases, table runners and table cloths. I marvel at how they did this. I'm going to have to find a way to use these pieces somehow. I can't just put them back in the closet and forget about them. 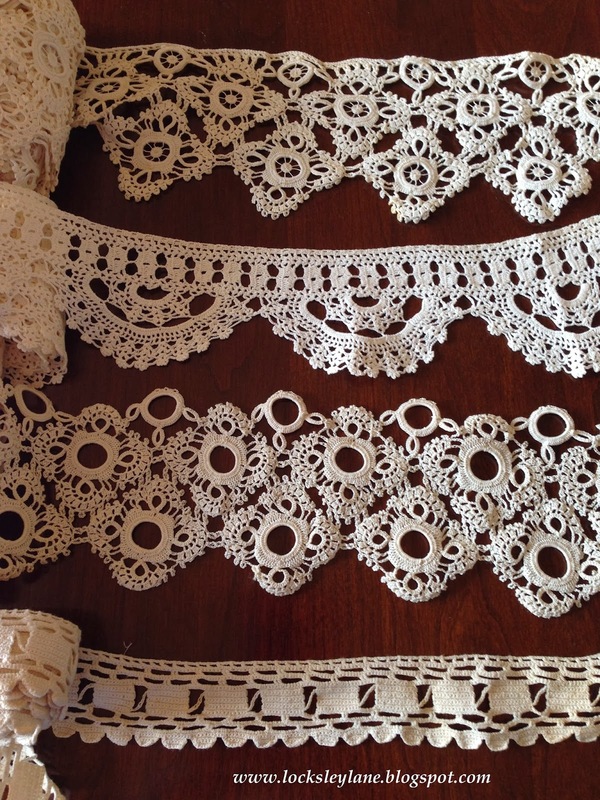 I never really gave lace much thought before. Maybe because I'm older and I am learning to appreciate things in a different way. 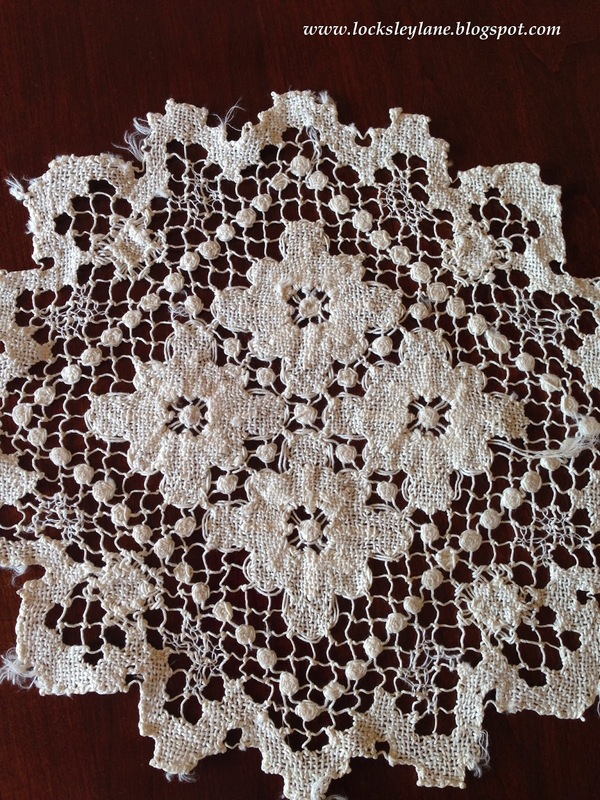 I find this lace truly spectacular and am so happy to have it. 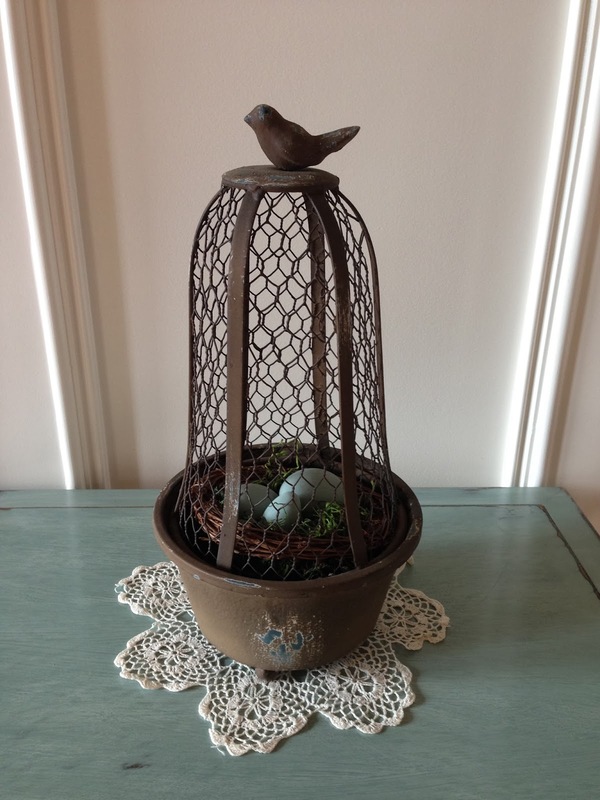 I'm excited about my new little lace treasures. I will keep you up to date with what happens to them. Have a fabulous weekend and remember....be kind.